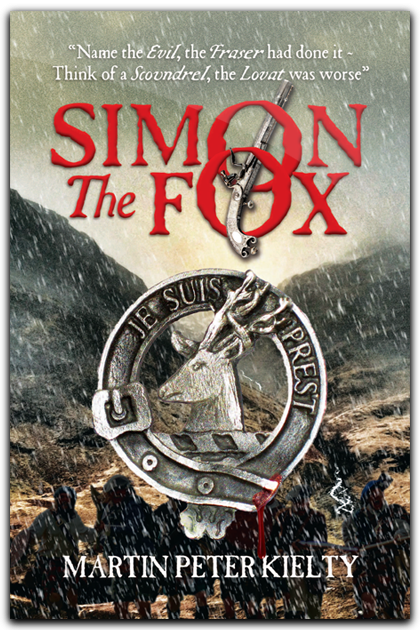 Simon The Fox, chief of Clan Fraser when Diana Gabaldon's Outlander series begins, was a notorious character in a notorious period, who, after his execution for treason in 1747, inspired hundreds of books about his life and adventures. It's difficult to separate fact from fiction ~ not least because he wrote two autobiographies in his lifetime, which massively contradict each other. Add to that the ire over his behaviour in official records, and it seems the real Simon will never be known. It's possible he wanted it that way. What is known is that, during the Jacobite struggles, he changed sides on a regular basis ~ and even close friends and family were not immune to his schemes. He cheerfully admitted to some crimes while furiously denying others. Even in the midst of his direst scheming he could be found handing out farthings to the poor of Scotland, asking about their heritage, and quoting Virgil, Homer and Latin epithets. When a sort of peace fell across Fraser country between the 1720s and the 1740s, he was a good clan chief, concerned with the affairs of his clansfolk and determined to ensure the education and future of his family. That was until the final great Jacobite rising of the 1740s ~ even as an old man he could not resist the attraction of ‘spectacular sport’ and soon became fully involved in the intrigue, some of which is deatiled in Gabaldon’s novels. When finally brought to answer for his crimes, aged 80, he was the last man in Britain to be publicly beheaded… and even that event carried more drama with it than anyone could have expected. The narrative of Simon The Fox is inspired by the classic styles of Robert Louis Stevenson and Charles Dickens, offering dramatic changes of pace scene after scene. The story is steeped in Highland traditions and folklore and featuring many real-life incidents of the period.